This American Life featured a fascinating–as in, car-crashtastic–example of the war on expertise that I thought many of you academic readers might be interested in, if you haven’t heard it already. 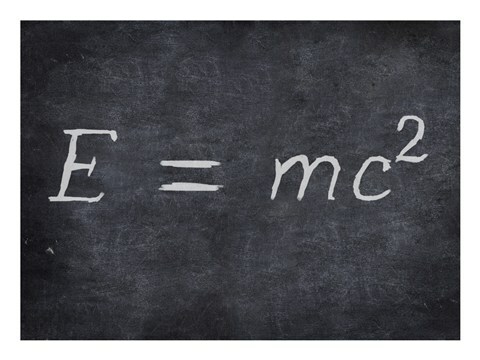 In a story called “Sucker Mc-squared” (Mc-squared as in Albert Einstein’s theory of relativity, not Mc- as in McDonald’s), Robert Andrew Powell tells the story of Bob the Electrician, and of Bob’s conviction that he alone had discovered a fatal flaw in Einstein’s theory. You can hear the entire story here–it’s well worth 20 minutes of your time. To summarize: Bob takes a year-long self-funded sabbatical to study physics and prove that Einstein had it all wrong. Powell tries to get real physicists to read the paper that Bob produces over the course of the year, which turns out to be quite a chore because it turns out that Bob is kind of like the old joke about asylums being full of Napoleons: there are thousands of cranks around the world who believe Einstein’s theory–and by extension all of modern physics–is wrong, and they are a plague upon real, working, university- and U.S. government-affiliated physicists in much the same way that Holocaust Deniers, Constitutional Originalists, and Lost Causers are to historians; climate change denialists are to real climate scientists; and anti-vaxxers are to real physicians. In sum, these cranks have no confidence whatsoever in expertise or in the value of the credentials that real historians, scientists, or doctors have. But yet, they crave their respect and demand to be acknowledged by the experts. Why does Bob believe that all of physics has it all wrong? Why is he argumentative and defensive when finally Powell convinces a real physicist (Brant Watson of the University of Miami School of Medicine) to explain to him why he’s all wet? Why does he admit that he doesn’t understand the advanced training in mathematics that physicists receive, and still believe he’s right? SPOILER ALERT! As Powell explains Bob’s thinking, “E=MC2 doesn’t make sense because it’s difficult to understand. The fundamental law of physics should be self-explanatory.” Bob himself explains that physics is “waaaayyyy to complicated. I mean, you have to go to school forEVer, you have to know this outrageous amount of uh, calculus, things. . . when I see all that, I know that physics has gone off the rails.” Bob understands the knowledge-based discernment of physicists as “the party line,” rather than legitimate, earned expertise that they possess and he does not. According to Bob, Watson and all of the other physicists have nothing to teach him–they just need to help him put his proof that Einstein is wrong “into a form where people will understand.” In other words, expertise is valuable only when it’s at his service, and when it’s used to contradict its own epistemological foundation. I had exposure to some of this kind of thinking with respect to American history recently when a graduate student of mine did a paper on pretend historian David Barton‘s Christian nationalism–that is, the insistence that the United States was founded as a “Christian nation.” It was exceedingly difficult for me to even understand Barton’s work as historical, because while he takes pains to mimic historicity by using the apparatus of scholarship—like close readings of texts, footnotes to sources—his interpretations are incredibly, unbelieveably daft. He is prideful about his ignorance of the professional scholarship on early America and the founding era–but his readers don’t care. They know they’re right. This story was a little reassuring to me, in that it’s a clear example of someone insisting that science–as much as history or other humanities disciplines–should be clearly understandable to everyone, rather than an academic discipline that must of course use specialist knowledge and language in order to communicate complex ideas. But mostly it cast me into a slough of despair. Yes, disciplinary training and credentials are elitist. They are not democratic, and that’s the whole point–not everyone can be an expert. So what hope is there for expertise in a democracy? Do democracies not need, or depend upon, expertise? If someone thinks Einstein “had it all wrong,” their best bet would probably be to pitch a movie script on that premise, rather than trying to workshop an eight page paper filled with scratched-out equations. On the plane last week I watched “Gravity,” sandwiched between TWO screenings of an oddball 1990s Tom Hanks film about a garage band from Erie surf-riding the British Invasion. As a result, I came off of the plane half-thinking that *Newton* had it all wrong. And if he did, just for argument, yeah, maybe Einstein launched from the wrong theoretical pad. Then between baggage claim, customs, and opening my front door, I unexpectedly found myself lost in downtown Princeton, where it turns out they’ve relocated the Dinky station!?! Start off from the wrong coordinates and anybody could get lost in Princeton. So, o.k., fine, Einstein took a couple of small hits in my personal imaginary that day. But “had it all wrong?! ?” This is troubling. Bob the E’s provocative paper, “Oneder-Working Providence,” seems fated to get lost in the cosmic dust of history. They were proud of this. They later wrote a paper bragging about how they “transformed” an upper-division class so that it requires no reading and has only multiple-choice assignments. This was published in some sort of education journal. They were proud. An administrator praised this effort, while I struggled to not give up all hope and slit my wrists to escape this fallen world. wow. Just wow. Speechless. Such a totally different mindset, I wouldn’t have even known it existed without this new window you’ve shown me. Thanks! In answer to your last questions, I think that hope requires scholars and other experts to translate the value of what they are doing to reasonably educated laypeople in comprehensible terms. If we can’t do that, we are indeed fucked. That story made a good accompaniment to chopping ingredients for (cold) soup on Saturday. I started off somewhat sympathetic to the autodidact, but ended up feeling even more sympathy for the experts being told that their subject shouldn’t be so complicated. The whole idea that a discipline is a system of thought with its own rules (that, yes, in the case of physics, have some very real connection to the physical world, measurable in things like whether the atom bomb does or doesn’t go boom) seems to be foreign to some people. I’d say those people are likely not to have Ph.D.s, but, as anonymous points out, sometimes Ph.D.s stray boldly into other disciplines (presumably ones they consider simpler/more obvious than their own) without due humility or preparation. @Indyanna: I’m glad to be warned that the Dinky station has moved. That would disorient me, too. Of course my entire grad-student-residence neighborhood has apparently been bulldozed, so I guess a degree of disorientation is inevitable. I’m pretty sure I could still find Firestone, the Chapel, and my department, so I guess that’s something. I’m lucky that I’m an English professor; literary interpretation is subjective enough that the potential for sheer wrong-headed perversity is less. However, it is frustrating when illegitimate literary history impinges upon legitimate. A few years ago, a non-academic published a book claiming to demonstrate that *Frankenstein* was really written by Percy Bysshe Shelley. The argument was flawed not only by misuse of historical evidence but also by dubious value judgments and dubious values (e.g., a woman as young as Mary Wollstonecraft Shelley could not have written such a great novel). The sad thing is that this worthless argument was taken seriously by some non-academics who are smart enough to know better. Of course, the great example of this sort of thing in literary studies are those non-academics would have us who believe that there is a viable argument that some or all of Shakespeare’s plays were written by the Earl of Oxford. Oxfordians are a blight upon real scholars of the Early Modern period, who will occasionally find themselves face-to-face with one of these nuts. If I ever wanted to pat myself on the back for not choosing to focus on Shakespeare, I would just tell myself about the Oxfordians I would encounter. Contingent Cassandra: I can’t even say where it was moved to and/or from except to say that it now stops a ways farther east from Nassau Street than it once did. There was apparently a big historic preservation fight over tearing up the existing track and turning the old station into a restaurant. I don’t know from Princeton politics, and had only ridden the Dinky once before, many years ago, although I’ve been there on the “land side” of campus often before. It has something to do with a big new arts Center that is of interest to the McCarter Theatre. I wasn’t supposed to be anywhere near Princeton that day, and was very jet-lagged already. Sorry about the translatio Dinkii. It’s all a result of our collective Edifice Complex, which has inspired the transformation of a once sleepy bit of Princeton into a new university (not McCarter) arts center, and has reconfigured our roads as well as putting the Dinky station farther from everything. The old stone Dinky station is to be transformed into a bistro or two. All of this led to immense controversies between the university and the town (which, to be fair, debated the question of which new sidewalk to install on Nassau Street while generations passed and dynasties rose and fell), now more or less settled. Apparently the orchestra and the dancers will at last have good rehearsal space, which seems like an improvement. Perhaps Bob would like me to wire his house? Just saying. Another group famous for their lack of respect for expertise are those in the Shakespeare authorship discussion. Lots of assumptions about class there. But your post raises a question I’ve been wondering about recently, which has to do with the way teachers’ professional expertise is denigrated in education reform discussions. But I think in fact we live in a culture that is uncomfortable with many kinds of expertise. And the MOOC fad exacerbates it, promising that you don’t have to work hard to learn something, we can deliver learning for free over the internet. (Let alone that the internet means we don’t need professional journalists any more.) I’m not sure why business people are supposed to have universal expertise, but, there you go. But this is a cultural trend that is very worrying. Susan–I’m getting comments on Twitter about Shakespeare v. Oxford and all of that bullcrap. I’m sorry I left that out of my list! The internet is an amazing tool, but I think you’re right that it may lead people to think of themselves as more informed or better skilled than we really are. DIY culture is great, but in the end, wasn’t the division of labor foundational to the emergence of civilization? Here’s an example from one of my final classes last semester. I found what I thought were a fascinating collection of primary sources online, mostly in English (or translated from German), but there were still some German terms the translator (or the original author in English) left untranslated, mostly having to do with Moravian beliefs and ritual practice, and which I thought gave texture and depth to the sources. Because I assumed that my students wouldn’t know what to do with these terms, I directed them to think about them and suggested that they review the relevant information we had about Moravian theology, daily life, and material culture as a means to unlock meaning. At this point, they basically refused to engage the texts with me, and I admit that I lost it. I asked them rhetorically what they were going to do when they came across a passage with German language, and one smartass said, “just look at Google Translate.” OK, well “abendsmahl” translates literally as “evening meal,” but it’s something with a very different and richer meaning in the Moravian tradition. Google Translate can get you just so far, but not really far enough. I was trying to show them how their historical knowledge of something could help them see more in a text than they might think, and how to use those text intelligently. Even now, 2 months later, I’m still deeply disappointed. There was no interest in looking deeply into the texts, beyond surface meanings, thinking about religious rhetoric versus original thought and feeling, in thinking about the ways in which the people of the eighteenth century aren’t fully knowable or transparent. Not a one mentioned anything about the use of the German terms and what that might signify–especially for an African American or Native American convert to Moravianism. And of course, none of the students’ exams tried to push beyond what they think they understood at the first pass. If you–Susan, or anyone–has any ideas about convincing students to push beyond the glib and the superficial towards real knowledge and understanding, please tell me your secrets. You know, there is an independent scholar, one of the great amateur scholars, who became a historian of the early modern theater after getting into arguments with Oxfordians. And he’s taken it well past merely rebutting conspiracy theorists: he is now one of the most important historians of Shakespeare’s theater working today: not just good, but top-two in his generation good. The Oxforians, of course, sneer at him because of his day job as a financial analyst. I’ve seen him called “the stockbroker” perjoratively. There’s a strange animosity toward experts combined with a servile worship of authority. It’s very strange. I’m a prof at a major research institution. My mother, recently passed away in her 80s, was long a fan of Edgar Cayces’ theories about the location of the lost city of Atlantis. At some point she thought she’d figured it out and bugged every archaeology prof (not my field) on both sides of the Atlantic to listen to her. She offered to bankroll their search and had the cash to do it. So add the beleaguered archaeology profs to your list. They must have thought the emails came from grifters. Later in life she switched to pet psychics. She blew a lot of money and energy with these passions–and ignored family. The belief that you have the answer against everyone else in the world can become a powerful and crippling obsession. I don’t think, truly, they want dialogue. They don’t even want you to find Atlantis and prove them right. The best I can come up with is that like some fundamentalist religious sects or secessionist military groups, they deeply need to be right and the world to be wrong. In their own head. Just ignore the emails from the crackpots, folks. They take a lot of energy and you cannot help them because what you and they see as a good outcome are not in agreement. The dynamic with these things is so strange–it’s as if the person wants to be validated by intellectuals/experts BUT ALSO have those experts then defer to them for having shown them the truth/light. You’re right! Lead us out of our errors! There’s a wonderful tangent about this phenomenon with regards to Fermat’s Last Theorem in Singh’s excellent book of the same name. Like you, I strongly suspect there’s a gender bias in who approaches experts in these ways. It’s not just physicists and mathematicians who are beset with such challenges. I’ve had a few people come up and try to get me to authenticate odd bits of tools and other artifacts as medieval remnants of Vikings in the midwest which has its own interest and bemusing charm. . . . I think this is right, and the comparison to fundy religion is especially apt. They don’t want to be bothered with our “facts,” our “math,” our “scholarship.” That they’re right is a matter of faith. The problem is that there is no proof for matters of faith–by definition, you either believe, or you don’t. Empiricism is irrelevant. Re: gender bias. I have a little data on this – I’m a physicist, and I get a lot of emails of this sort – mostly sent to the whole department list. In the past two years or so, I’ve received eight crank emails (I started labeling them). Six of them are from men, one was signed only “Benjamin Franklin,” and one was from a woman. (This last was a little different, since it was on behalf of a religious organization.) The only in-person crank I have dealt with was male. TL;DR: Stupid people are stupid, but not all amateurs are stupid. Anti-intellectualism is certainly an issue, but in this reply to Susan: DIY culture is great, but in the end, wasn’t the division of labor foundational to the emergence of civilization? I can’t help but disagree with your argument. Though the division of labor was responsible for many of the innovations of the Industrial Revolution, which reality I am thankful for as a beneficiary of electricity and computing, it was also responsible for the ability of robber barons to pay unskilled laborers poor wages. It is not an untarnished mother, or father, of civilization. While I, as a Shakespeare lover in undergrad, intensely dislike the Oxfordians, I would say they’re straw men when talking about the balance between expertise and democracy. The structures haven’t been favorable to people speaking intelligently to each other on subjects other than their area of expertise. It is iconoclastic to speak as an amateur, and thus it is often done with the idea that it is hip to Stick It to the Man. On the other hand, your blog and other academic blogs I read regularly have non-academics who comment and have very intelligent things to say. I don’t think their intelligence in speaking of things they know of is valued less because they do not specialize in a certain critical lens. I’d love to hear how you would place them in a discussion of expertise vs democracy. I don’t respond to requests for further information or opinion from people who write “TL; DR” in their comments. Maybe if you read the post and listened to the radio show I linked to, you’d have your questions answered. If the world could fgure out how to solve this most violent of castes – but it won’t. Because the oppression by men that women live in is the most immutable of horrors. How do you convince an entire body of people that those they were raised with are sub-human? Ask the male ruled Catholic church (that five men majority on our “democratic” Supreme Court), ask the equally male ruled but less authentic Southern Baptists. Mormons, Moslems. It is the tectonic plates that would change the surface of the earth if men were to give it up. What I love is that they will die rather than do so. I had at least a young adulthood of freedom and agency. My later years will be entertained by their slow death. Just found this post from Grumpy Rumblings, and remember that radio show. I’m an evolutionary biologist and also empathized with the physicists because of all of the calls for debates with creationists. Luckily haven’t had any of those invites myself because I’m too new to the field. The prevailing wisdom is not to do it because on top of making life difficult for you you’re giving some credence to a crank. Led to some handwringing before Bill Nye the Science Guy debated Ken Ham of the Creation Museum (and that did make money for the museum). You know, Bill Nye is the perfect guy for them. He’s *not* a research scientist, but rather an informed amateur and a performer. He seems to be effective in getting the message out, but as you say Allyson, he’s first and foremost a performer, so his appearing in these fora doesn’t undermine the integrity of professional scientists. And dog bless Bill Nye, and anyone who tries to debate these fools in public or private.